2008 will be a year to remember. Big events are coming, and the notion that crisis brings opportunity will be sorely tested. Financial/economic problems: Multiple financial system crashes are in progress or on the way. Will there be any ray of sunshine in the aftermath? For that matter, will we reach the aftermath in the coming year, or will these problems drag on, perhaps for decades? 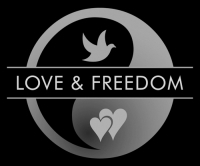 Politics and government action: Will 2008 be the last gasp for liberty or the start of a Great Unraveling for tyranny? Or neither? Oil, metals, and other natural resources: Peak Oil (which some believe  is a scam or an error) is quite real  and a genuine threat . Combine rapidly-depleting older oil fields with less oil being found, with the new finds mostly being deep-ocean or otherwise difficult to harvest, with more of the oil now harvested being lower-grade (including tar sands and shale oil, which require huge amounts of energy to extract and refine), and--here's the kicker--with dramatic growth in oil usage in China, India, and many other nations, and you have a supply and demand problem of potentially epic proportions. A similar situation is playing out for metals (yes, Peak Metal)--as with oil, the easy-to-harvest resources have already been harvested. We may thus be entering a new, broader Age of Scarcity. If so, how can we best respond? Food shortages: will dire predictions  from the 1960s and 1970s (not to mention Malthus ) of mass famine finally come true -- as now appears possible ? Or will technology and the markets (or perhaps something else) save the day yet again? Environmental damage: the jury is still out on global warming (so say hundreds of scientists ; see also here ) but the oceans are dying  and the rest of the planet isn't doing so well either. Will we respond appropriately in time, and if not, how quickly and how severely will the problems worsen? Looking at these problems as a group, it doesn't feel like "opportunity" or "luck" ahead so much as "disaster." But the largest opportunities sometimes do arrive in the form of disasters or crises. For example, dramatically higher oil prices are fueling a boom in conservation, in alternative energy, and in solutions we might otherwise never have considered or even imagined. The coming year will bring plenty of problems to solve, and I look forward to seeing what I hope, but don't necessarily expect, will be creative and positive responses. On the financial front, it appears that 2008 will be the Year of the Collapse. "The central banks are rapidly losing control." There are many recent articles and commentaries with the same basic message, and some even more pessimistic  (see also here ). For my part, I am surprised that the imbalances and deceptions of the world financial system have not brought us to a 1930's-style depression--or something different but just as severe--before now. Investor and author Doug Casey calls what is coming The Greater Depression  and however it plays out (hyperinflation, severe and prolonged stagflation, severe deflation, or something else), I expect the name will be appropriate. Significantly higher unemployment numbers combined with widespread underemployment, defaults on debt of every kind (from mortgages to credit cards to pensions to bonds to zillion-dollar derivatives), dramatically lower housing prices  combined with higher prices for nearly everything else (real inflation levels  of ten percent or more, and possibly much more ) are in the cards for next year, or so I believe. I discussed the economic situation in more detail previously in Money  (October) and Destruction by Paradigm  (March). Nothing has happened to magically solve the problems that were so apparent then; the train-wreck of our post-1913 financial system continues. Using "money" created from thin air and printed (mostly electronically now) as fast as corrupt banking and government authorities desire has never worked well for long and has always brought disaster in the end--see today's Zimbabwe , for example, or read about the German hyperinflation of the early 1920s or the John Law episode  in 18th Century France. Central bankers and governments know perfectly well about the long-term destruction they are causing; there is a great deal of history on the subject to draw from. Central banks are designed to siphon wealth from the masses to the banks (and their owners) and to the corporations and government agencies (and hence to actual people) favored by the power elite. That is the true purpose of central banks ; nothing more, despite the various official excuses for such institutions. (Link is to a 10 min 56 sec video; see also this 41 minute video from the Mises Institute ). Eventually, the central banking/fiat currency scheme collapses and millions are impoverished or worse. But then, the power elite has never been concerned about the masses; siphoning away wealth from the poor and the middle class is how the elite became wealthy in the first place; the elite are no more concerned about the masses than lions are concerned about gazelles. Some in the elite got rich by creating value in the market, but--here is the simple truth--getting rich is so much easier with government contracts (preferably no-bid ) and especially with government-granted monopolies --the Federal Reserve being the ne plus ultra in this regard. With nearly the entire world now suffering under such schemes (how many nations can you think of that do not have a central bank and a slowly [or rapidly!] collapsing fiat currency? ), there is no reason to believe the present crisis will end well. There is always the chance that central bankers will be able to inflate one last bubble or drag out the deflating of this one without causing a full-on crash, but I wouldn't bet on it. Snapshot forecast: Severe economic recession or worse, possibly much worse. Real estate crisis intensifies; prices drop further, financing is harder to get, the number of people whose finances allow for home ownership drops as unemployment mounts and inflation eats away at buying power even for those who still have jobs. Outright failure of several very large financial institutions (possibly averted with buy-outs, most likely from government sovereign funds  or foreign corporations) along with bankruptcy of many sizable corporations. Currency controls, price controls, gold and other asset confiscation, and/or other authoritarian nonsense likely in response. Fifty percent chance for a downturn so dramatic that even the Old Media propaganda machine begins calling it a "depression." Americans will not handle truly hard times with the grace and dignity so many showed in the 1930s. If things get that bad, then riots due to food shortages and general conditions of widespread (and for many, sudden) poverty will begin in America and Bush will get a chance to make use of those Halliburton-built detention centers  along with the many such centers left over from FDR's incarceration of 120,000 Japanese-Americans during WWII. Potential upside and opportunity: Today's economic pain is already helping to wake up the masses to the harm being done by governments, by corporatism, by central banks, and by fiat currencies. See the next section below for how this might, under the most optimistic of scenarios, lead us back from the brink--or at least point us in the right direction after we go over the brink. For example, few today think a gold-based currency is possible, but that is now slowly changing. Gold and silver were the basis of currency in America and much of the world for over a century (and were used as money for thousands of years before that) and worked far better than what we have today, for reasons that become obvious when you study economics. America's founders certainly understood economics, and thus Article 1, Section 10 of our Constitution  requires that our money be only gold and silver, which means that today's fiat currency is literally illegal (any chance the perps will do jail time?). The collapse of the present corrupt, fantasy-land financial system will bring strong pressure to bear for a more realistic, workable, and fair system--for a system not rigged against the masses in favor of the elite--and that will require something other than pure fiat money. The monetary restraint of using gold (and perhaps silver) as money in place of fiat dollars would, by itself, make our current level of tyranny impossible to maintain. By definition, using gold as money prevents the ongoing official counterfeiting of currency that makes your dollars worth less every year and which provides government with a tsunami of dollars to pay for Blackwater  and Halliburton  and military intervention overseas  and the new billion-dollar biometric FBI database  and a thousand other things that impoverish and tyrannize the people while enriching the elite. America spends more on its military than every other nation on Earth combined ! Does that make America more secure, or does it just make the military-industrial complex more wealthy and powerful? There is now, finally, talk even in the Old Media (at least when Ron Paul is being interviewed) about ending the Federal Reserve and abolishing the hated income tax and the IRS. That would have been unthinkable even a year ago, and the noisily-approaching financial collapse is a big reason why it is thinkable today. Those simple and obvious action items would, by themselves, be a huge step forward in real, on-the-ground freedom and would be a massive defeat for those who think it their right to rule their fellow man. A more limited and individual possible upside of the economic downturn or crash could be strong returns from investments in precious metals and other real forms of wealth. For relevant sources of information I suggest 321gold.com , agorafinancial.com , prudentbear.com , and other contrarian, non-mainstream sites. Reading up on Austrian economic theory  wouldn't hurt, either. I repeat, however, that gold and other asset confiscation by government (including by America's own federal government**) has a long history; once a government has impoverished its nation to a significant degree and can no longer extract the levels of wealth it is used to getting from the people, the next step is to begin confiscating wealth on almost any pretext . Get those assets out of the country while you still can, and keep your gold in the form of mining stocks, ETF shares, and so on. Consider also taking delivery of the confirming paperwork, although where to store that is another problem: I don't believe even your safe deposit box will be safe; the banks are practically another arm of the government by now. (Take the standard disclaimer to heart; do your own research and think for yourself. No one, including me, can be sure what the future will bring; timing and velocity especially are never finely predictable for things as complex as the economy). Real estate will again be a good investment after it hits bottom, but that may not happen until after 2008 and in any case almost certainly hasn't happened yet. Nor are prices likely to rise again quickly, so returns may take years to materialize. 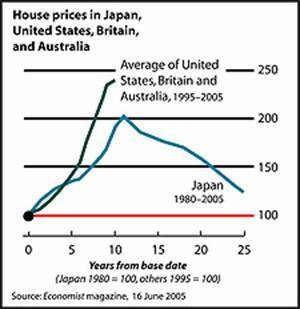 Keep in mind the Japanese housing crash  (nearly 20 years in duration -- so far. . .) and other examples that refute the "real estate always goes up" mantra. For decades, libertarians were the Trekkies  of American politics: they were seen as silly, useless, nerdy, and on the fringe. But decades of work and preparation by freedom activists are finally paying off. Today, with the dollar collapsing , with the housing bubble morphing into a foreclosure epidemic , with millions of well-paid American jobs having been outsourced to low-paid foreigners, with America's militaristic interventionism around the world provoking terrorism and costing trillions of dollars per decade that America doesn't have in the first place, with the head of the federal GAO touring the country to sound alarm about America's bankruptcy , and with the Bill of Rights under assault  by secret-police agencies and police-state legislation, Americans are at last opening up to libertarianism in large numbers. I never thought I'd see this happen, but here it is: the 1988 Libertarian Party candidate for president is now the 2008 front-runner by many measures, including by demonstrated fund-raising ability , internet (and increasingly, traditional ) polling, website hits , unofficial supporter websites , caucus wins , and sheer American get-it-done enthusiasm among volunteers. What other candidate has his own blimp ? (Well, it isn't his; it belongs to a for-profit corporation, and is being funded by supporters rather than by the official campaign). Who else in the field can raise over $6 million in a single day, without even asking for the money -- only weeks after raising $4.3 million on another single day? What other candidate has supporters buying full-page ads in USA Today  and the New York Times  on his behalf? No other candidate than Dr. Ron Paul, of course. The power elite is peeing its collective pants over Dr. Paul and his rapidly-growing following. Worse, the "Ron Paul Revolution" is clearly not about the man (worthy though he is) but instead about what he stands for: liberty itself. How could this idea get loose in the world again? I can just hear the powers-that-be asking each other, "Didn't we put a permanent lid on that one?" A lifetime of pro-government propaganda from government schools, from corporatist media -- from seemingly everywhere -- has not been enough to completely hide the truth from millions of ordinary people who are now seeing through the lies behind their own impoverishment and enslavement. Dr. Paul's campaign is educating millions more -- about the Federal Reserve and fiat currency generally, about Constitutional restrictions on federal power, about America's violent, interventionist foreign policy and its dire results both abroad and at home, about the "soft fascism" of corporatism and how it has impoverished us and led us down the road to a police state, and about many other things. People are listening to Dr. Paul and reacting as if their lives depended upon moving America back in the direction he advocates -- the direction of America's traditional respect for liberty. These people are right: Their lives do depend on reversing our slide into tyranny. History shows very clearly that when freedom fails, life (and not just financial life) is at grave risk. Dr. Paul's rapidly-growing following  has brought a measure of coverage and superficial respect by the Old Media, but despite that, lies, smears, insults, and snubs against Paul are commonplace. For examples, USA Today  and the NY Times  are still ignoring or slighting the man despite one of his supporters having paid huge money for full-page ads in their publications (Paul may have been added to the pages linked by the time you read this, but as of this writing [checked again 12/30/07 3:42pm Pacific time], he is not listed with the other candidates, most of whom have less support by many important measures). Despite that, Paul's support has forced a level of coverage some thought he would never receive; here is Wolf Blitzer interviewing Paul on CNN right after the Bhutto assassination --an excellent and respectful interview, in which the candidate describes how and why our interventionism is creating disaster after disaster around the world while bankrupting the nation in the process. This is the simple truth, and yet it is the opposite of what we are hearing from all of the other GOP candidates and from the media-anointed, top-tier Democratic candidates as well. Mitt "We ought to DOUBLE Guantanamo" Romney would never suggest we stop using our military to interfere around the world, nor would the Huckster or Hillary or John McCain or O-Bomb-a, all of whom are clear that we might just have to remain in Iraq, for instance, until 2013 and perhaps until Hell freezes over, as with South Korea. Here, as with the Federal Reserve and so many other things, Ron Paul is bringing topics and truths into the mainstream that the power elite would kill to keep hidden. Snapshot forecast: I am largely in agreement with Denmark-based Saxo Bank, which forecasts chaos in 2008 . For example, on the economic side, they see oil going to 175 dollars per barrel. They see U.S. markets dropping a solid 25 percent and other markets having problems also; they expect the Chinese market to collapse by 40 percent. Oh, and in the political realm, they see Dr. Ron Paul winning the 2008 election. As I said: these five major tipping points are all interrelated. Saxo has a surprisingly good track record (here are their predictions for 2007 ) but no one is right all the time, and as much as I hate writing this, I see the anti-Paul forces as likely to prevent his nomination. If he does capture the GOP nomination, I predict he will win in a landslide (unless Kucinich is the Democratic nominee, in which case I expect a close race), but I see maybe a 25% chance for Paul to become the Republican standard-bearer. In a few weeks time, after the first few primaries, there will be more information to work with. In the meantime, I expect the federal government to continue amassing unconstitutional laws, agencies, signing statements, executive orders, regulations, and other assaults on our freedoms and wallets, with acceleration in the use of these pseudo-legal tools against average citizens. The worse this gets, the more people will support Dr. Paul and any other credible pro-freedom candidates who might emerge. It is perhaps not overly dramatic to characterize this as a race between the forces of extreme tyranny and the forces of liberty; between the corrupt power elite and the people as a whole. I do not yet have the sense of even 50-50 odds for avoiding the disaster of an outright police state, but as the Paul campaign awakens millions and gets them hopeful and then actually excited about the prospects of freedom, the odds are improving, and rapidly. Even a win for Paul won't end the danger and even a loss for him won't end the revived movement for liberty he has sparked, but clearly putting Ron Paul in the White House would be a powerful move back from the brink. Maybe we could even bulldoze those detention camps. Potential upside and opportunity: Freedom! OK, partial freedom. Perhaps "the beginning of movement away from tyranny" would be more accurate. "Freedom" is what Henry David Thoreau was talking about in Civil Disobedience  when he wrote "That government is best which governs not at all." 2008 will not bring us that, but it could well see the start of progress in the right direction. If not, I shudder to think about where we are headed. Another potential and related benefit is wider understanding of where the Old Media stands in this struggle, which is to say firmly on the side of evil. The shocking behavior of most of the Old Media outlets in their coverage of Ron Paul makes it very clear that the corporate Old Media favors the stances and worldview of their favored candidates: they (both the candidates and the media) are, with occasional exceptions to some part of this list, pro-war, pro-torture, pro-tyranny, pro-Drug War, pro-empire, pro-central bank, pro-fiat currency, pro-income tax, pro-government takeover of health care, pro-gun control, pro-secrecy, and in favor of basically anything that takes money and power away from the masses and gives it to the elite. There are a few individual exceptions among the people working in front of the cameras or at the dead-tree media's word processors, but they are rare. If nothing else, our worsening economic and political situation combined with Dr. Ron Paul's courageous and spectacularly popular run for the presidency have brought awareness and open discussion of these issues -- that is, of the real issues, which the Old Media has worked so hard to distract the public from (Oh look: Paris Hilton snagged a nail!) -- and shown people where the various players stand. The year ahead will be interesting indeed. Next week: Part 2 of this column. Crisis wei ji still means "a situation that has reached an extremely difficult or dangerous point". However, a dangerous situation can become an opportunity if wei ji becomes zhuan3 ji1. Others also point out that using the Chinese characters for "crisis" to support the adage is not entirely sensible; see the related essay on Wikipedia  for one example. The image file of the characters used above is a resized version of one used in the linked article (here it is again ). ** To be more precise, in 1933, U.S. gold coins were "called in" and possessing more than $100 worth was made illegal, with stiff fines and jail terms for offenders. People got paper dollars for their gold, and gold jewelry and numismatic-grade coins were not affected. This particular mass violation of Constitutional rights in America was perpetrated by FDR, the same criminal who had all those Japanese-Americans, most of whom were U.S. citizens, forced into detention camps for the duration of World War II. That was blatant racism combined with raw tyranny (not to mention obdurate stupidity), yet the same people who today pounce on anyone who utters a remotely racial word are (in the main) somehow able to continue their hero-worship of Roosevelt.